Shusui are the mostly scaless version of the Asagi. 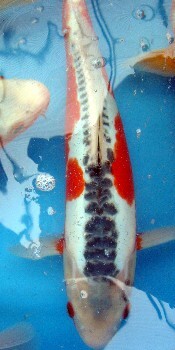 There is usually one row of dark scales on top and one row along the lateral line. 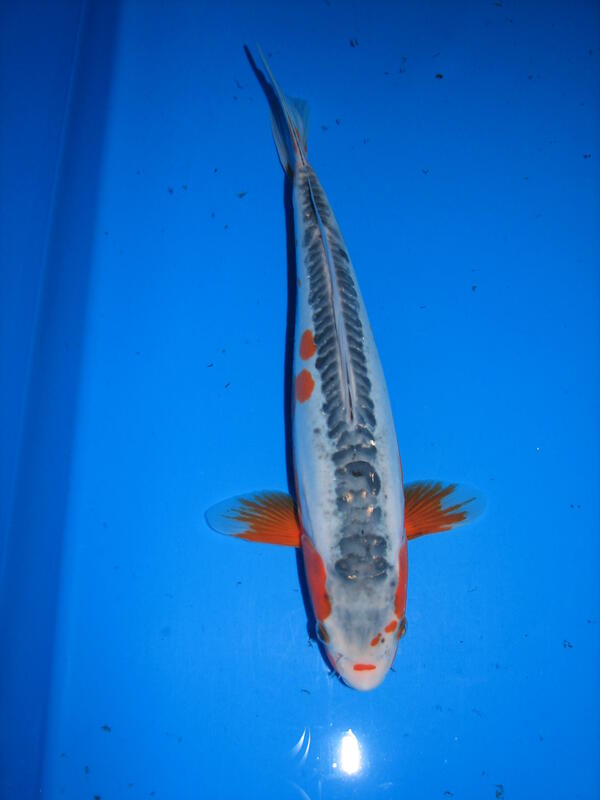 Check all over the Shusui before you buy it to make sure that it has a complete row of scales. 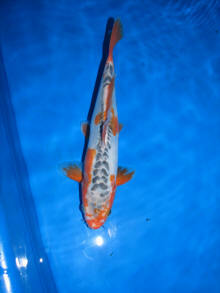 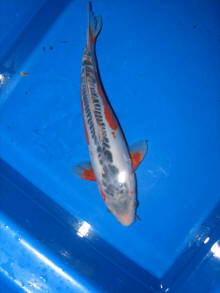 Also, make that they are straight and do not distort the look of the Koi. 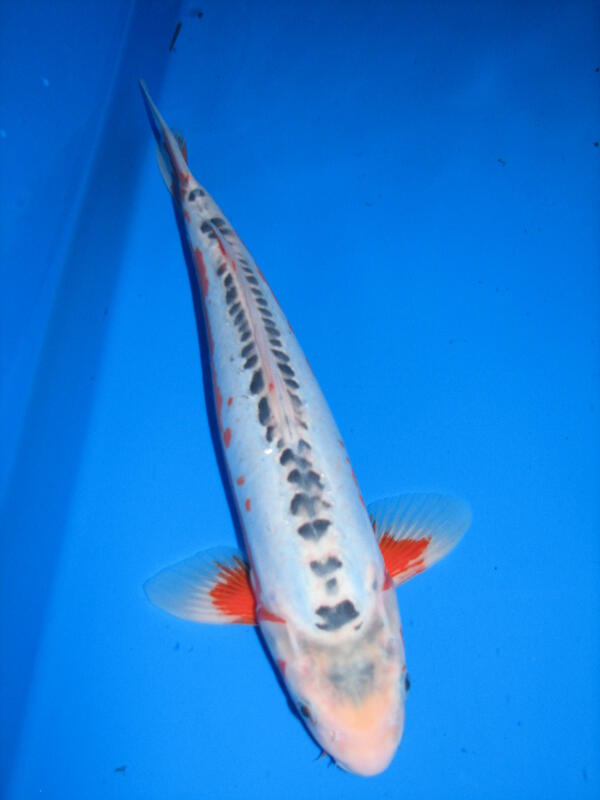 Where did Shusui come from? 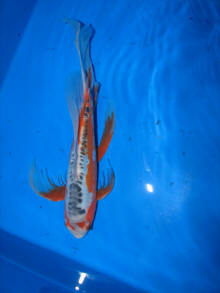 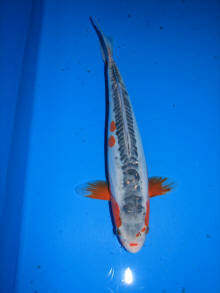 In the early 1900's, the Japanese breeders took the mirror carp from Germany and crossbred them with the regular Koi to create two new types, Koi with rows of large scales and Koi with no scales at all. 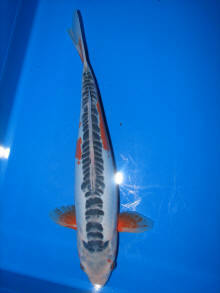 Shusui were the product of mixing a German mirrored carp with an Asagi.